Children illnesses are on the rise in the United States, and it is becoming a bigger issue every year. Having a child with a chronic illness is no longer a rarity, and if the surge in illness continues, analysts worry it may wreck a havoc on the United States health care system in the near future. Almost 1 in 2 children today have or will develop some kind of mental disorder, and more than 1 in 5 will have a debilitating illness – the most common one being ADHD. Illnesses such as asthma, allergies, diabetes, autism, and other chronic conditions are on the rise in children. This situation is bad for those affected, their families, and the country. While modern medicine is good at keeping people alive longer, not necessarily being able to heal (when taking just the western medicine route) means more years of taking drugs, more surgeries, and more money spent; money that many people do not have. And watching their children suffer early on with no answers from the doctors, many mothers are sick and tired of hearing that there is no known cause and that nothing can be done. Could GMOs and Pesticides Be Responsible? Recently, the Institute for Responsible Technology (IRT) interviewed mothers who have searched for and found the answers to one of the most fundamental axioms of human health – you are what you eat. 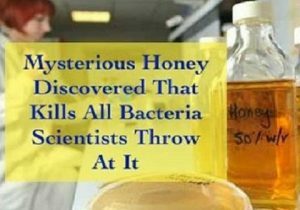 What they found out is that what their kids were eating was causing and aggravating numerous health issues, from allergies to autistic symptoms. What were the kids eating? Food made with genetically modified organisms, for one thing. While Monsanto and other agrochemical and GMO companies continue to insist their products are “safe,” citing government-affiliated declarations, the number of parents who share these experiences has continued to grow. “I have pages of parents who said their kids got better when they went off GMOs,” said Zen Honeycutt, the founder of Moms Across America and mother of a son who suffered from allergies and rashes before going on an organic diet. 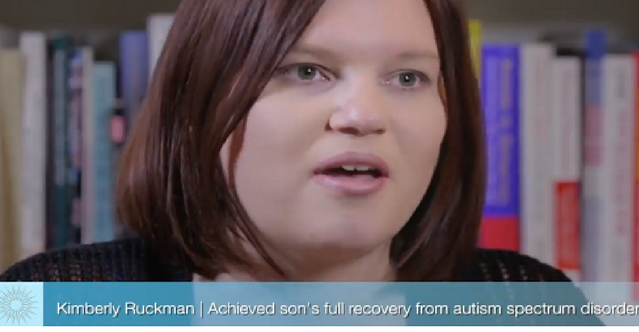 For many kids, the results were so significant that the others could not believe their eyes. “They have talked that he might have ADHD in addition to autism, and now since we’ve taken all of the genetically modified foods…away from him, his teachers would never guess that,” said Kimberly Ruckman, a mother of an autistic son. “I have many patients who say once they’ve cleaned up their diet and have eaten strictly organically…have made incredible strides towards health. Doctors are learning the importance of eating non-GMO foods, and are now recommending them to their patients,” said doctor of integrative medicine, Hyla Cass, the author of The Addicted Brain: How to Break Free. So you know how to avoid GMOs, but do you know how to heal your body from the effects? 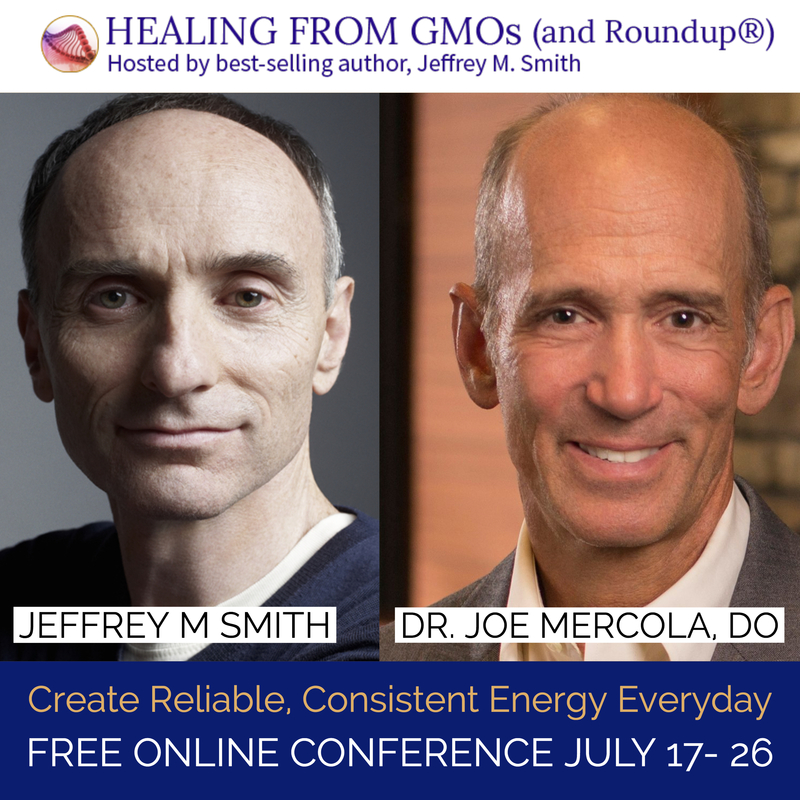 Join Jeffrey Smith, Dr. Joe Mercola and others in this free event. Click the picture or click here to reserve your spot! A peer-reviewed article by Jeffrey Smith (the founder of IRT and author of Seeds of Deception and well-known Genetic Roulette, which was turned into a movie) sheds light on at least 28 conditions that were reported by parents. Many of these disorders affected children and adults alike. 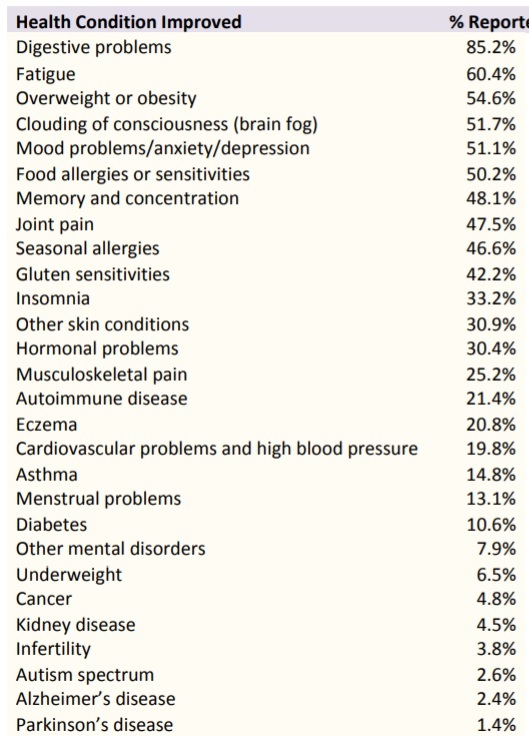 On the top of the list are digestive problems, fatigue, obesity, brain fog, mood disorders, and allergies. But even severe and life-threatening illnesses such as cancer, autism, and dementia were improved by switching to a non-GMO diet. “GMOs were…made to kill insects. Our gut is affected, just the way insect’s gut is. We have leaky gut,” said Dr. Cass. After switching to a non-GMO diet, over 85% of people reported improved digestion, and over 16% had a total recovery. But it is not just the digestion that is positively connected. As Dr. Cass explains, our gut health is directly connected to our immune system and therefore our health as a whole. “The symptom [of leaky gut] is an inflamed brain. An inflamed gut and an inflamed brain are going to look depressed, autistic, having ADD, all kinds of really bad ‘mental illnesses,’” said Dr. Cass. Leaky gut, one of the most common issues today, is a condition in which there is damage to intestines, which leads to toxic waste products and bacteria leaking into a person’s blood. It is not a condition that mainstream medicine yet understands, but growing amounts of research has linked it to many conditions, according to doctor of natural medicine Josh Axe. Leaky gut syndrome can manifest in the following symptoms: inflammation of the bowels, autoimmune disease, food sensitivities, thyroid issues, malabsorption of nutrients, skin inflammation, and mood disorders. 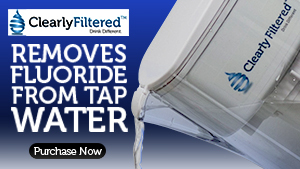 It can them lead to or exacerbate allergies, asthma, autism, arthritis, diabetes, and inflammation – all of the conditions discussed by the IRT. To repair leaky gut, it is important to take probiotics, add healing foods and supplements (digestive enzymes, L-Glutamine amino acid, and licorice root) into the diet, but most importantly to remove GMO foods to see how your body responds. Changing the diet initially can be a little overwhelming, but there is no need to panic. Many families have made a gradual shift and now live a fully healthy lifestyle. One of the best ways to succeed is to follow advice from people who have, so here are some of the tips from mothers whose families switched to non-GMO diets. Avoid the pitfall of going back to the old ways – you’ll be thankful later. “You learn about it, and you say ‘wow, isn’t it horrible!’ but then you slowly go back to your regular life. For me, unfortunately, what it really took for me to awaken were the health issues with my boy. It’s not something you can do overnight,” said Kathleen Hallal, a mother whose son has an autoimmune condition. “I encourage moms to do it little by little…Here are the basic [GMO] crops. And I tell them to avoid those things, then I tell them about the hidden ingredients – the corn and the soy that’s in everything under those other names,” said Leah Segedie, a mother of a son with Asperger’s syndrome. “The complaint I here from people is that it’s expensive. 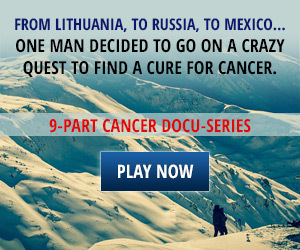 But it’s way more expensive [to have] all the doctor bills, and the hospital bills, and being out of work for 6 months…” said Celia Xavier whose own diet led to arthritis. As many mothers pointed out, the pro-GMO advertisements make it hard to impossible for the media to share the truth about genetically modified foods. While many countries around the world have banned GMOs, in the U.S., most companies refuse to even label them, and the FDA is closing their eyes. In the end, it is up to the consumer to stop buying GMO products. 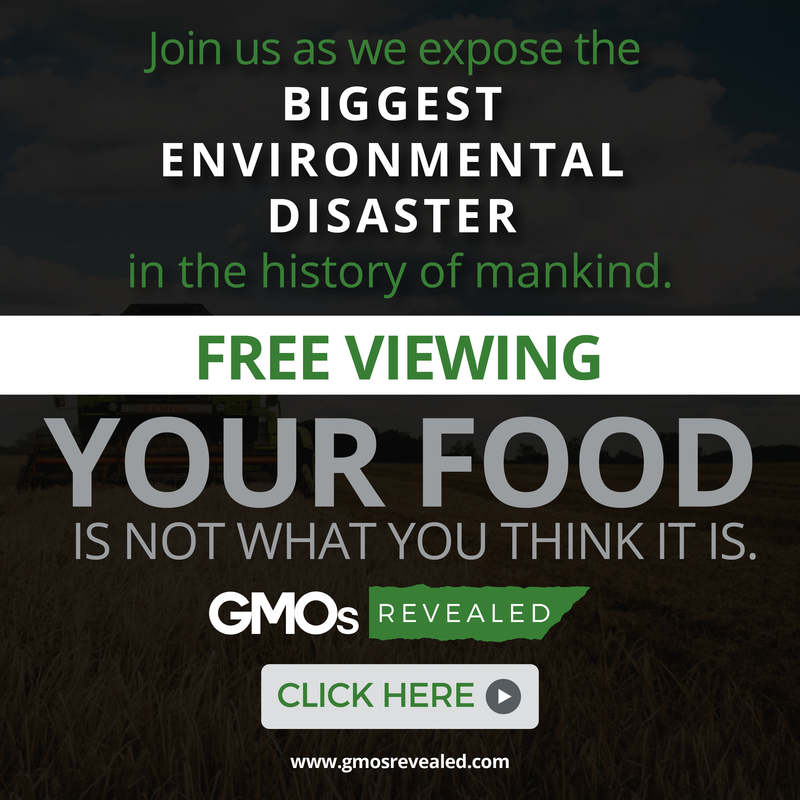 “[It is] mostly up to us to stop buying this GMO food. We stop buying it – they stop making it because it will not be economically viable anymore, and I want a GMO-free USA,” said Zen. This article was first written in November 2017 and edited in April 2018. For more articles like these in your inbox, click on this link. Tags: autism and diet, children;s health, children’s health and diet, dr. hyla cass, gmo and childhood diseases, gmo and health risks, gmos, gmos allergies, gmos and autism, gmos and children’s health, gmos and health, gmos and leaky gut, gmos mental disorders, gmos mood disorders, how to eat non gmo, Institute of responsible technologies, leaky gut illnesses, leaky gut symptoms, moms against gmos, mothers against gmos, non gmo, non gmo diet, non gmo diet benefits, and non gmo moms.